I featured this house two years ago but because I really like the rustic style and because I think many of you have not seen it before, I want to show it to you again. It fits perfectly in my series of summer inspired posts! 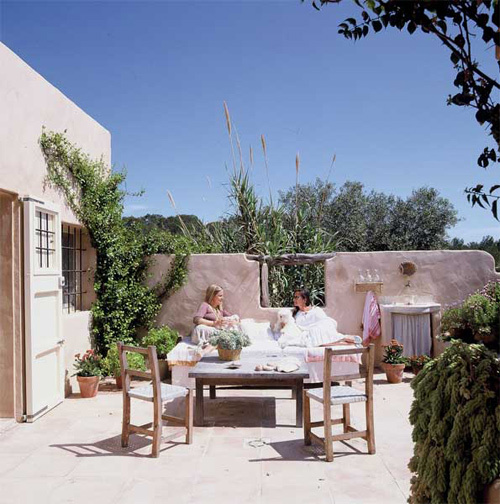 This lovely house is situated on the Spanish island Formentera. This small island is smaller and less touristy then it’s neighbouring island Ibiza. I once visited Formentera when I was holidaying on Ibiza, and I loved this quiet island. 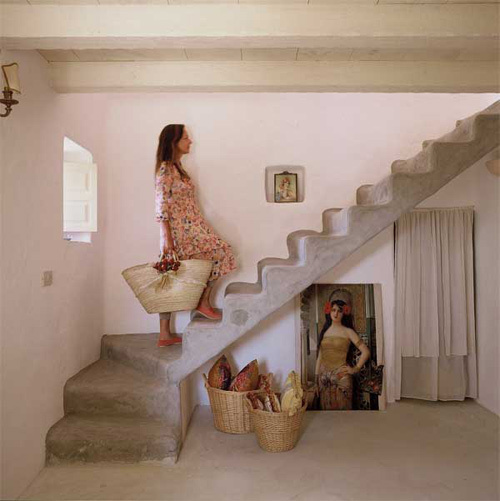 The images of this gorgeous little house are shot by Jordi Canosa, a photographer from Barcelona, Spain. There is not much information I can give you about his house, which is owned by a lady named Christina. I love the way it is decorated in a simple but unique style with lots of natural materials and attention for detail. Gorgeous! I want to be there! Thanks for sharing! I saw your post on clipboard, what a lovely blognyou have, really enjoyed browsing through it.